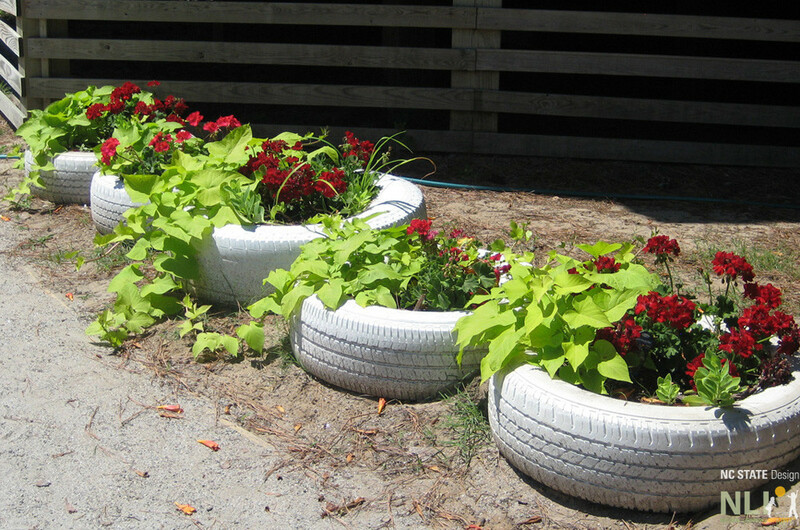 Do you have any tips for painting tire planters? 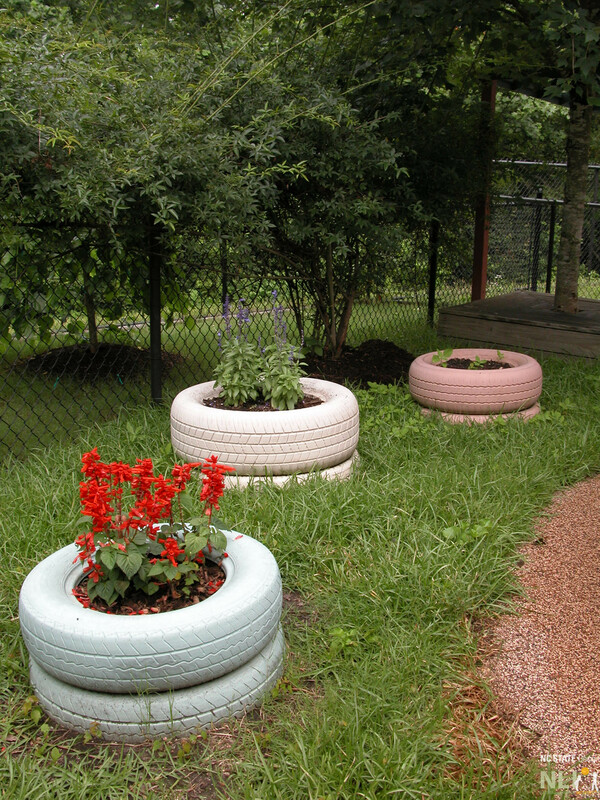 Specifically, what type of paint can be used on tire planters that is durable and safe for early childhood outdoor learning environments? Wash the tires. So the paint adheres, thoroughly wash the tires with soap and water. A non-toxic degreaser may also be required to remove tougher grime. Prime the tires. Once the tires dry, prime them with a spray primer. This will also help the pain adhere to the tires. Choose a durable, non-toxic outdoor paint. The paint can be brushed on, which might be more fun, or sprayed on, which is easier. We recommend commercial grade paint for industrial and marine use, but any durable, non-toxic outdoor paint will do. Choose light colors. Black tires absorb more of the suns energy and can get hot, which is not good for the plants or children. 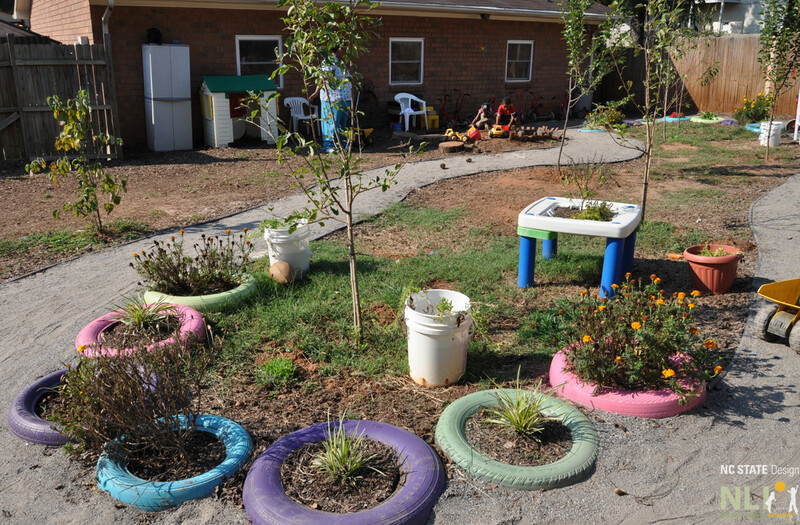 Painting tires with light colors reflects light and helps keep the plants and children cooler. Let the children paint the tires. Children enjoy painting the tires and seeing their masterpieces in the OLE. Be creative. Bright colors and patterns can add a little something extra to the OLE. For information about installing tire planters, check out this Green Desk post. 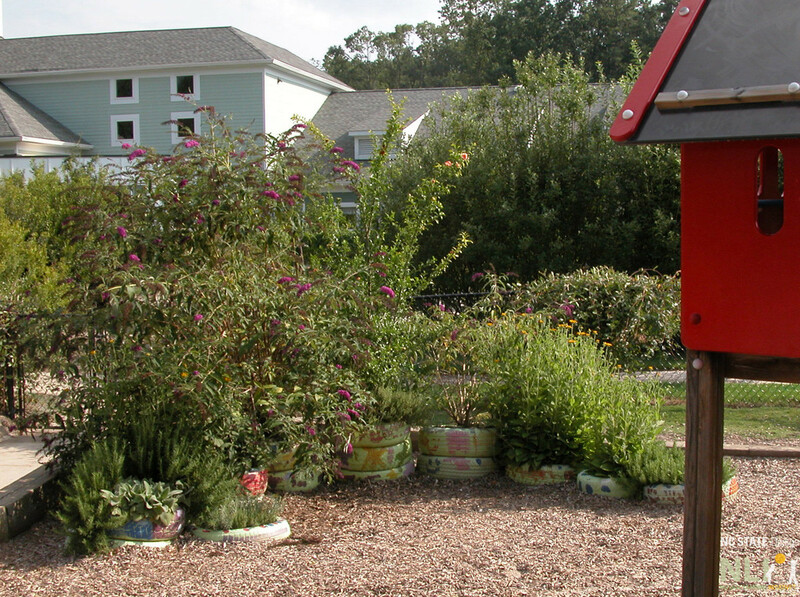 Tire planters edge a fine crushed stone pathway at Heron Pond Montessori, Kitty Hawk, NC. Tires stacked three high create a lush vegetated buffer.